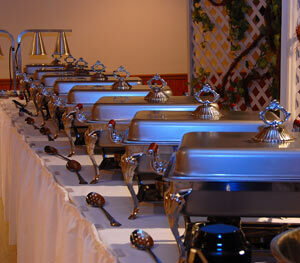 At Court Yard Catering, our experience includes catering a wide variety of events and occasions. Rhonda, Thank you so much for all of the work you did for our wedding! The decorations were perfect and the food tasted amazing! The greatest thing was all of your help at the ceremony. You went above and beyond & we will appreciate that always! Full service event planning begins with an idea. At Court Yard Catering, we listen to your wants, needs, and desires, then help you build a foundation for success. Whether you are planning an elegant wedding, an exquisite corporate event, or a sophisticated anniversary celebration, Court Yard Catering & Specialties helps you plan and organize your event for the best possible outcome. Contact us today to leave an impression that becomes a lasting memory. 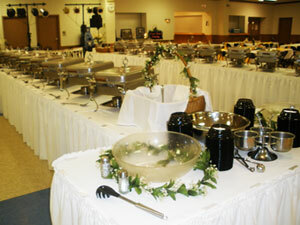 At Court Yard Catering & Specialties, we can provide you with anything you need to make your event a success! Contact us about our most popular rentals! With all the time and coordination it takes to plan a successful event, organizing even the smallest company get-together can become an overwhelming task. Don’t spend valuable company time stressing over your next event. 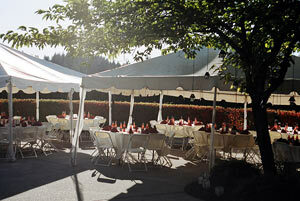 Court Yard Catering & Specialties offers affordable, experienced event planning for any size corporate event. After 25 years in business, we’ve gained expert experience in satisfying businesses from small non-profits and start-ups to large corporations, planning everything from casual luncheons to highly attended business conferences and seminars. To learn more about Court Yard Catering services, Contact Us today! We will make sure your next event is both successful and memorable.